Pamper yourself while on the island. Lauren Reid is officially an entrepreneur! The model has opened her first business in tourist-favorite Siargao—Sirena Spa—which offers nail, waxing, and massage services. In an e-mail interview with Reid, she talks about the idea behind her business, the challenges, and her future plans. What made you decide to pursue this business? And why is it in Siargao? My business partners visited Siargao for Christmas, and they fell in love with it so much that they decided to drop everything in Manila and move there. They filled my head with all their amazing stories, and eventually, we started talking about potential business ventures. We saw a gap in the market and decided to pursue the business! The original concept was slightly different, but we're over the moon with where Sirena Spa is now. Tell us about your business partners. I have two business partners: Drew Paroz and Alexa Cuadra. These two are partners in business and in life—the real dream! I'm their third wheel-slash-bestfriend-slash-business partner. Drew was a big-shot manager in Telstra Philippines, and Alexa is a trained culinary cook. We've amazingly only been friends for about a year and decided to open a business together six months into our friendship. Sometimes you just know! How long did it take for Sirena Spa to come to life? Like any business, we had some hiccups along the way, especially since Sirena Spa is a provincial business. It took us about five months total [to complete it], when we originally projected two months. In the end, we tripled our initial capital investment due to delays in construction, supplies, and a whole lot of other unforeseen costs. But we learned so much from Sirena Spa, and we now know what to apply and how to handle our future businesses on the island. I am so proud to say Sirena Spa is my first business. It's baby number one! I do have another company, which is in its infant stages and has yet to be launched. The best part is the satisfaction of watching the business run, watching our team work hard and have fun, and having this achievement to call ours. The hardest part was the initial building and construction stages—happy that's all over now! Where exactly is Sirena Spa located? The spa is located in the heart of Tourism Road, General Luna, Siargao Island. It's seriously hard to miss. We're the only nail, waxing, and massage spa on the island. Female and male locals/residents alike have told us stories of how they used to travel to Cebu just to get a wax, but now they can just walk down the street to Sirena Spa! What is your ultimate dream for Sirena Spa? Our ultimate dream is for the business to flourish into more branches, and for us to grow our services and our team of Sirenas. Sirena Spa is along Tourism Road, General Luna, Surigao del Norte. For more information, follow Sirena Spa on Facebook. 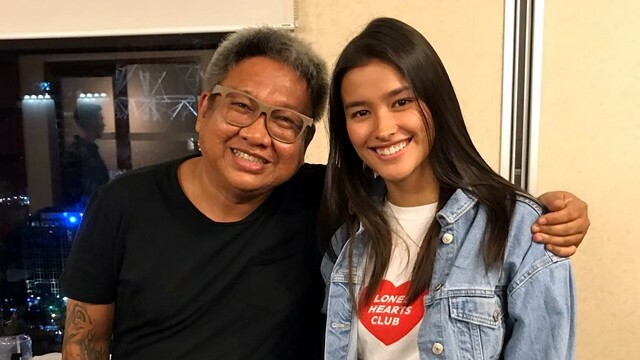 Erik Matti Says Darna Is Going to Be a "Serious, Real, Superhero Movie"